Well-priced, with a playful edge, Pure Romance makes for great stocking stuffers “For Her,” between couples, or fun gift between friends. Also a great opportunity here to become a consultant to earn some money in time for Christmas. Entice your lover with soft, silky skin that’s kissed with pheromones! The healing oils in this alluring lotion are combined with shea butter and moisturizing aloe to make for a transformative escape. Bed of Roses Travel Pack is sure to transport you and your lover to an even more exciting destination, no matter where you are. Along with more than 100 scented silk rose petals, the mood setting kit contains four tea light candles to help you set a romantic mood no matter where you are. Trade in your boring loofah for something you can both enjoy. 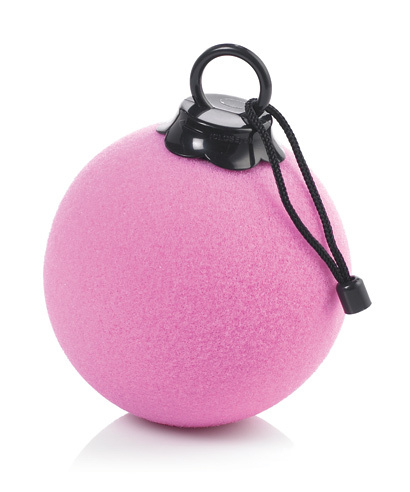 Use the Pulsa Bath Ball Vibrating Sponge to lather up in the shower or bath — then turn on the discreet sponge and enjoy a massage. Requires two AA batteries. Just a few great stocking stuffer ideas from Pure Romance.